In the near future, a hostile alien race called the Formics have attacked Earth. If not for the legendary heroics of International Fleet Commander Mazer Rackham (Ben Kingsley), all would have been lost. In preparation for the next attack, the highly esteemed Colonel Hyrum Graff (Harrison Ford) and the International Military are training only the best young minds to find the future Mazer. Ender Wiggin (Asa Butterfield), a shy but strategically brilliant boy, is recruited to join the elite. Arriving at Battle School, Ender quickly and easily masters increasingly difficult challenges and simulations, distinguishing himself and winning respect amongst his peers. Ender is soon ordained by Graff as the military’s next great hope, resulting in his promotion to Command School. Once there, he’s trained by Mazer Rackham himself to lead his fellow soldiers into an epic battle that will determine the future of Earth and save the human race. 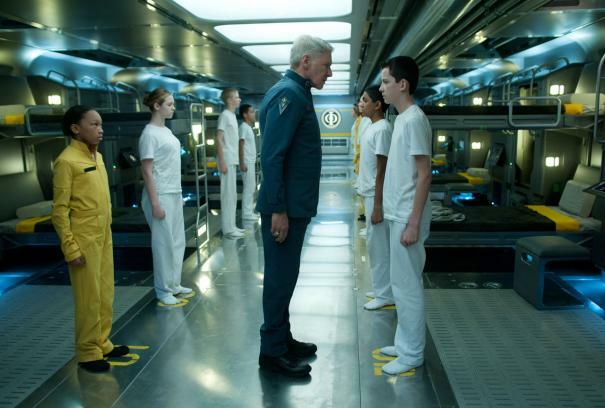 Based on the best-selling, award winning novel, "Ender's Game" is an epic adventure which stars Asa Butterfield, Hailee Steinfeld, Ben Kingsley, Viola Davis, with Abigail Breslin and Harrison Ford.